TheWrap is reporting that Margot Robbie’s upcoming superhero movie Birds of Prey will introduce the villain Black Mask to the big screen. 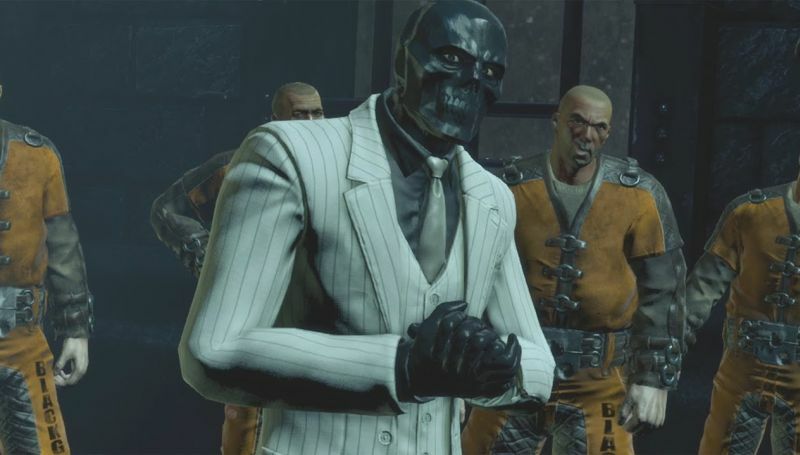 Black Mask is known as being one of Batman’s greatest foes and a mob boss in the city of Gotham. Warner Bros. tapped female director Cathy Yan (Dead Pigs) to direct the Birds of Prey film. She will be the first female Asian director to helm a superhero film. The Birds of Prey-style project was initially announced ahead of the release of Suicide Squad in summer 2016, with Warner Bros. developing the film with Robbie’s Harley Quinn as the villain and featuring a number of female DC characters, with the likes of Batgirl and the Birds of Prey reportedly also in the mix for the film. The script was penned by Christina Hodson (Bumblebee), who was recently announced to take over scripting duties on DC’s Batgirl solo movie after Joss Whedon’s departure. Robbie herself was the springboard for the project, having fallen for the pantheon of DC’s female characters in her extensive research for the role of Harley Quinn. The Birds of Prey project will now apparently take priority as the next film to feature the popular Quinn character, with production expected to begin by the end of 2018 or early 2019. A Suicide Squad sequel to be directed by Gavin O’Connor is also in active development, but Glenn Ficarra and John Requa’s Harley Quinn Vs The Joker romance movie and David Ayer’s Gotham City Sirens now appear to be on the backburner. Robbie will head to Birds of Prey right after completing work on Quentin Tarantino’s Once Upon a Time in Hollywood. She will produce via her LuckyChap banner alongside Sue Kroll of Kroll & Co Entertainment and Bryan Unkeless of Clubhouse Pictures. The Birds of Prey are a mostly female superhero team whose ranks in the DC source material has included Oracle/Batgirl, Black Canary, Huntress, Catwoman, Hawkgirl, Power Girl, Poison Ivy, Vixen, and Katana (Karen Fukuhara), who appeared opposite Harley in Suicide Squad. A short-lived live action TV series titled Birds of Prey aired on The WB from 2002-to-2003 for 13 episodes and starred Ashley Scott as Huntress, Dina Meyer as Barbara Gordon/Oracle, Ian Abercrombie as Alfred Pennyworth and Mia Sara as Harley Quinn. The Birds of Prey movie is set to begin production next January.